According to the Internet, which we know holds the truth to all things, women in the United States are five feet four inches tall on average. Being five inches above average height, I have to look for pants with a 33-inch inseam at minimum, and gave up even bothering with clothing companies that don't make pants in long sizes. Unfortunately, many outdoor clothing companies fall into my "don't bother" category. It's been tough to find hiking pants that are both long enough and fit well, much less look good. 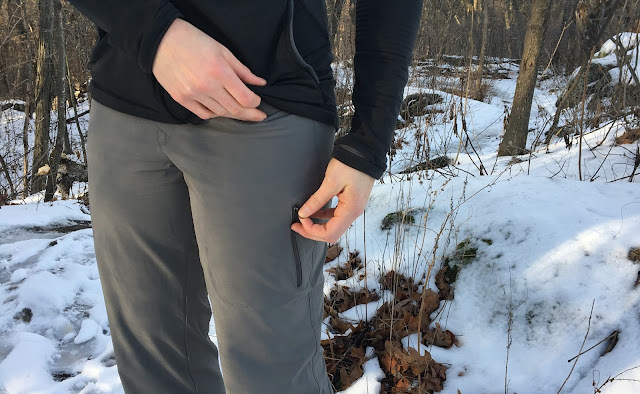 But when the Outdoor Research team contacted me about reviewing the Women's Ferrosi Pants and I saw they're now available in long sizes, I just about jumped out of my chair. The Ferrosi Pants are billed as "the ideal everything soft shell pants" thanks to the lightweight, breathable, wind and water-resistant construction. They're made primarily from ripstop fabric with spandex, a combination that helps them stretch while you move. Articulated knees also help the Ferrosi Pants move with you, and drawcord cuff closures can help seal them around boots. The long size has a (perfect) 33-inch inseam, but they're also available in a standard length. The first time I put the Ferrosi Pants on, it felt like despite the 33-inch inseam, they were still too short. 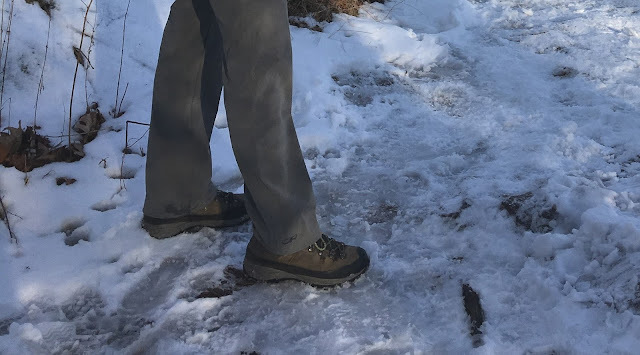 But after taking them out hiking and wearing them around, they stretched and sat lower on my hips, making them the perfect length. Washing them brings them closer to their original fit, but they stretch again when I wear them. I'm generally a size eight, and that size is perfect in the Ferrosi Pants. The dual snap feature above the zipper fly and thicker wastband help keep the waistband flat. There's a non-stretch drawstring I could do without; it's barely long enough for me to tie and sticks out when I do. I'll likely remove it and wear a belt if I need to. The breathability of the Ferrosi Pants came in handy on hikes with variable temperatures and conditions. On a hike in Wisconsin's Devil's Lake State Park, I was in and out of shade on an unseasonably warm winter day, but was both warm enough and cool enough. The Ferrosi Pants feature front slash pockets, a zip thigh pocket, and a zip back pocket. I rarely use front slash pockets on any pants, but appreciate them from an aesthetic standpoint. The pants fit me in such a way that I don't see myself ever using the zip thigh pocket; anything I put in it digs into my quads when I'm walking uphill. I'd rather have the zip thigh pocket as a small zip cargo pocket. The zip back pockets are great for stashing small objects, but I also don't see myself using those for anything bigger than lip balm. Finding hiking pants this long isn't easy for me, and they fit perfectly after they stretched a little! The features I don't love (side pocket instead of a cargo pocket and a less-than-useful drawstring) are easy to overlook when there are so many features I do love (length, breathability, aesthetics, and comfort). I'd recommend them for above average height ladies who enjoy hiking and backpacking in moderate temperatures, but can also see them being great for general travel wear and climbing. As part of #ORInsightLab this winter, Outdoor Research provided me with a complimentary top to test. As always, the opinions expressed here are my own. Tall ladies, are you as excited about these as I am? Have you tried these pants either in long or standard sizes? I'd love to hear from you!